To ramp up its competition with web display leader Yahoo!, search giant Google is set to acquire Teracent. Teracent is a San Mateo, California startup and a leader in display advertising technology. Google is expecting to complete the acquisition by this quarter. 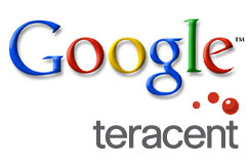 Once the deal is closed Google can use Teracent’s technology in conjunction with the Google Content Network and for their DoubleClick clients. Teracent shows real-time display ads using machine-learning algorithms and counting a plethora of other elements. "We think that this technology has great potential to improve display advertising on the web. That’s why we’re pleased to announce today that we’ve entered into a definitive agreement to acquire Teracent. The transaction, which is subject to various closing conditions, is expected to close this quarter. Teracent’s technology can pick and choose from literally thousands of creative elements of a display ad in real-time — tweaking images, products, messages or colors. These elements can be optimized depending on factors like geographic location, language, the content of the website, the time of day or the past performance of different ads." Being in line with Google CEO Eric Schmidt statement last month, Schmidt affirmed Google’s pledge to continue with smaller business acquisitions. Capturing companies when they are at the root of their success and likely at a more affordable cost. Very much in line with their mandate when recently launching ‘Google Ventures’. Other recent acquisitions include mobile display advertising firm AdMob, CAPTCHA technology leader reCAPTCHA. and Internet calling company Gizmo 5. By purchasing Teracent, Google promises a much better experience to advertisers in displaying their ad campaigns. For publishers it opens a new stream to grow revenue from their ad space and will surely offer end users with highly useful ads. Google has been acquiring over almost every facet of technology and with display advertisement player like Teracent now in its pockets, advertisers can benefit from this tie up to have the ads “customized” in their own way. A la Google style perhaps? 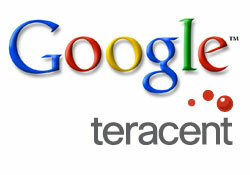 It’s a good move by Google acquiring Teracent. Google knows the potential created by Teracent in the ad-industry. 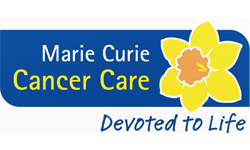 They have strong customer base and are up to date with new technologies. Their ads are even supported in mobile phones and customers are provided with good analytics report and option to edit their ads with text, color etc. Let’s see how Google explores Teracent. And sure enough, Teracent’s intelligence in display advertising will change the game for google to pocket a good amount of share from Yahoo’s space. I guess the the future of display advertising is much much brighter. Seems Schmidt was not kidding. 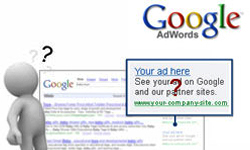 Yet another intelligent acquisition from Google, they can strengthen and automate their display ad serving area. Moreover, they can serve DoubleClick programmes better too. Definitely, all these combination of acquisitions weapons Google to deliver some pretty compelling services to advertisers and users.